Abstract: The calibration of the external parameters of the laser scanner is the precondition and guarantee for obtain high-precision 3D geographic data. Most of the traditional calibration methods require setting up a special calibration field, manual collection of checkpoints, or the amount of calculation in the process of solving is large. 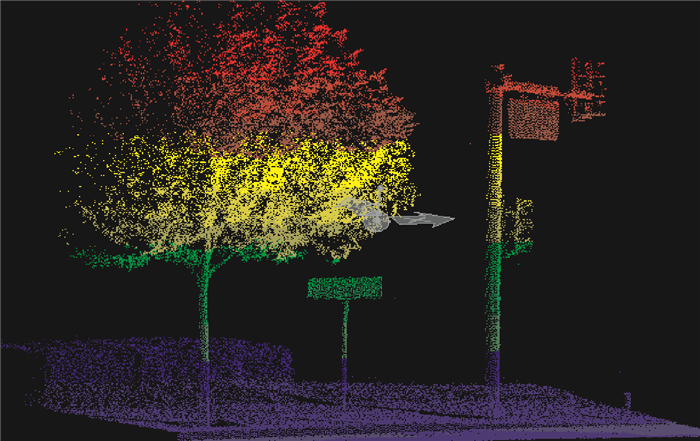 Based on this, an automatic calibration method is proposed in this paper, by collecting point cloud data in the same area with different vehicle directions, extracting planar features data and automating registration of these planar features data, through the co-calibration of planar features of different angles.The proposed method realizes the coincidence of point clouds collected by different vehicles in three-dimensional space and finally completes the calibration of the system external parameters. 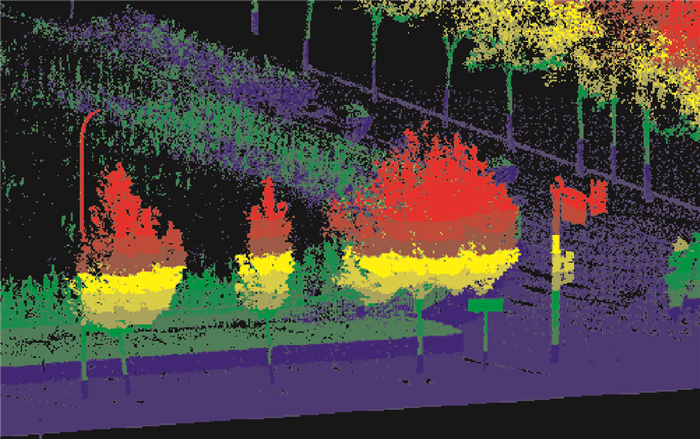 The results show that the method is automatic for the calibration of the external parameters of the vehicle laser scanning system, reduces the need for manual participation, and achieves high precision. 杨必胜, 梁福逊, 黄荣刚. 三维激光扫描点云数据处理研究进展、挑战与趋势[J]. 测绘学报, 2017, 46(10): 1509–1516. 康永伟, 钟若飞, 吴俣. 车载激光扫描仪外参数标定方法研究[J]. 红外与激光工程, 2008, 37(S3): 254–258. KANG Yongwei, ZHONG Ruofei, WU Yu. 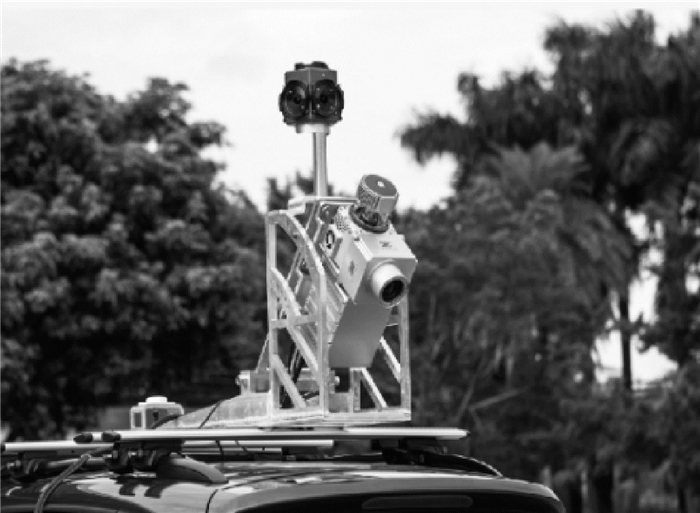 Research of Calibrating Vehicle Laser Scanner's External Parameters[J]. 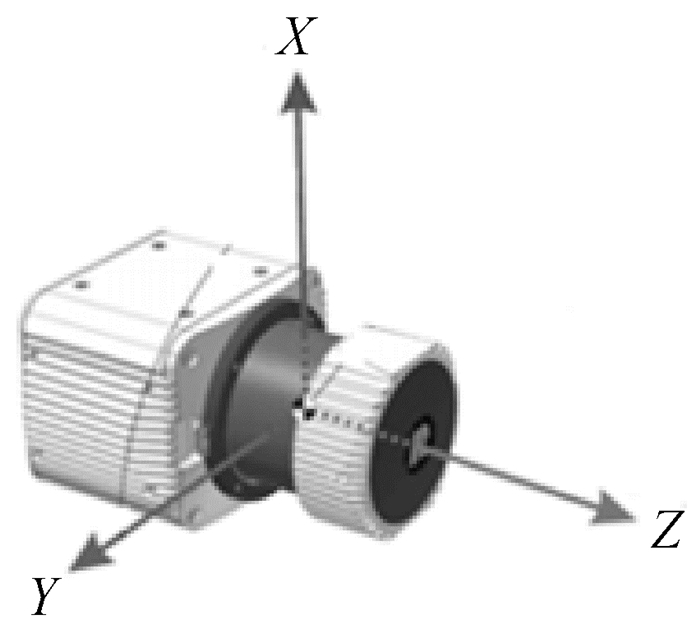 Infrared and Laser Engineering, 2008, 37(S3): 254–258. 聂倩, 陈为民, 陈长军. 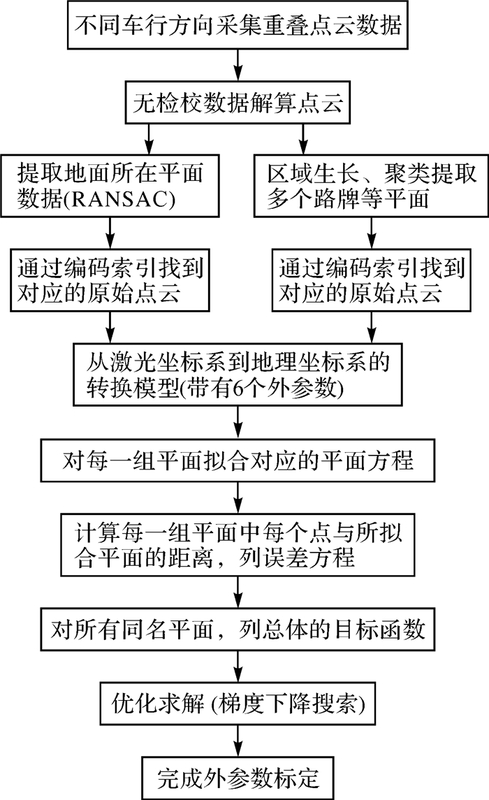 车载三维激光扫描系统的外参数标定研究[J]. 测绘通报, 2013(11): 74–77. NIE Qian, CHEN Weimin, CHEN Changjun. 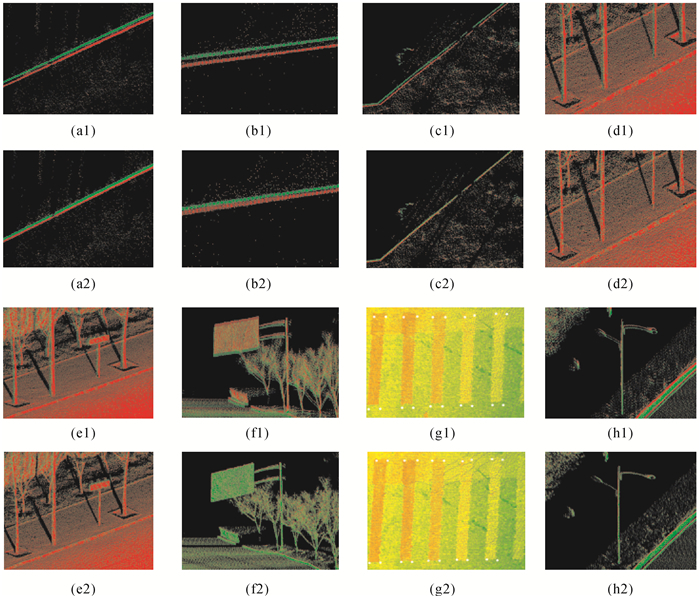 Research on Absolute Calibration for Vehicle-borne 3D Laser Imaging System[J]. Bulletin of Surveying and Mapping, 2013(11): 74–77. ZHOU Huawei. 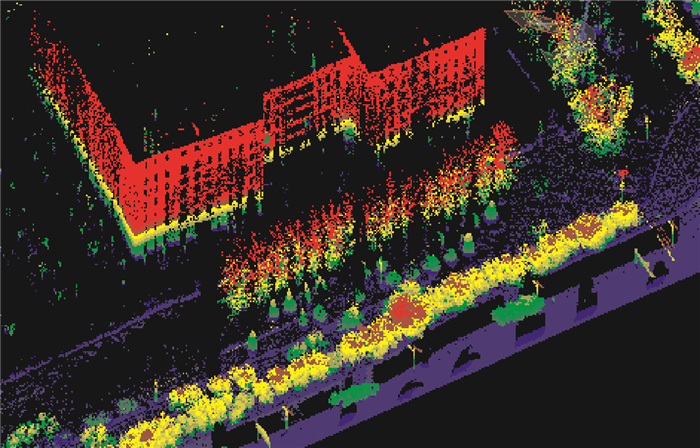 Data Processing and Model Construction of Ground 3D Laser Scanning Point Cloud[D]. Kunming: Kunming University of Science and Technology, 2011. 徐景中, 寇媛, 袁芳, 等. 基于结构特征的机载LiDAR数据与航空影像自动配准[J]. 红外与激光工程, 2013, 42(12): 3502–3508. 姚连璧, 汪志飞, 孙海丽. 车载激光扫描仪外参数标定方法设计与实现[J]. 同济大学学报(自然科学版), 2016, 44(1): 161–166. YAO Lianbi, WANG Zhifei, SUN Haili. Design and Implementation of Vehicle Laser Scanner's External Parameter Calibration[J]. Journal of Tongji University (Natural Science), 2016, 44(1): 161–166. 张钧, 柳健, 刘小茂. 利用罗德里格矩阵确定三维表面重建中的绝对定向模型[J]. 红外与激光工程, 1998, 27(4): 30–32. ZHANG Jun, LIU Jian, LIU Xiaomao. Three Dimensional Absolute Orientation Model Using the Roderick Matrix[J]. Infrared and Laser Engineering, 1998, 27(4): 30–32. 张卡, 盛业华, 叶春, 等. 车载三维数据采集系统的绝对标定及精度分析[J]. 武汉大学学报(信息科学版), 2008, 33(1): 55–59. ZHANG Ka, SHENG Yehua, YE Chun, et al. Absolute Calibration and Precision Analysis for Vehicle-borne 3D Data Acquiring System Integrated with GPS, INS and CCD-camera[J]. Geomatics and Information Science of Wuhan University, 2008, 33(1): 55–59. 杨长强, 叶泽田. 一种基于点对应的激光扫描仪外方位参数检校方法[J]. 测绘科学, 2011, 36(5): 190–192. YANG Changqiang, YE Zetian. A Calibration Method for Laser Scanner's External Orientation by Corresponding Points[J]. Science of Surveying and Mapping, 2011, 36(5): 190–192. ZHAO Haitao, ZHANG Bing, WU Changshan, et al. Development of a Coordinate Transformation Method for Direct Georeferencing in Map Projection Frames[J]. ISPRS Journal of Photogrammetry and Remote Sensing, 2013(77): 94–103. 李晓红. 车载移动激光扫描测量瞬时外方位元素精确直接解算方法[J]. 测绘通报, 2014(10): 70–73. 汪帆, 何文峰, 林昀. 车载激光扫描测量系统外标定方法的研究和实现[J]. 城市勘测, 2014(2): 103–107. 叶泽田, 杨勇, 赵文吉, 等. 车载GPS/IMU/LS激光成像系统外方位元素的动态标定[J]. 测绘学报, 2011, 40(3): 345–350. YE Zetian, YANG Yong, ZHAO Wenji, et al. Dynamic Calibration of Exterior Orientations for Vehicle GPS/IMU/LS Laser Imaging System[J]. Acta Geodaetica et Cartographica Sinica, 2011, 40(3): 345–350. ZHANG Qilong, PLESS R. Extrinsic Calibration of a Camera and Laser Range Finder (Improves Camera Calibration)[C]//Proceedings of 2004 IEEE/RSJ International Conference on Intelligent Robots and Systems. Sendai, Japan: IEEE, 2003(3): 2301-2306. 邓非, 张祖勋, 张剑清. 一种激光扫描数据与数码照片的配准方法[J]. 武汉大学学报(信息科学版), 2007, 32(4): 290–292, 296. DENG Fei, ZHANG Zuxun, ZHANG Jianqing. A Method of Registration Between Laser Scanning Data and Digital Images[J]. Geomatics and Information Science of Wuhan University, 2007, 32(4): 290–292, 296. 陈驰, 杨必胜, 彭向阳. 低空UAV激光点云和序列影像的自动配准方法[J]. 测绘学报, 2015, 44(5): 518–525. BAUERMANN I, STEINBACH E. Joint Calibration of a Range and Visual Sensor for the Acquisition of RGBZ Concentric Mosaics[C]//Vision Modeling and Visualization 2005. Erlangen, Germany: [s.n. ], 2005. FISCHLER M A, BOLLES R C. Random Sample Consensus: A Paradigm for Model Fitting with Applications to Image Analysis and Automated Cartography[M]//FISCHLER M A, FIRSCHEIN O. 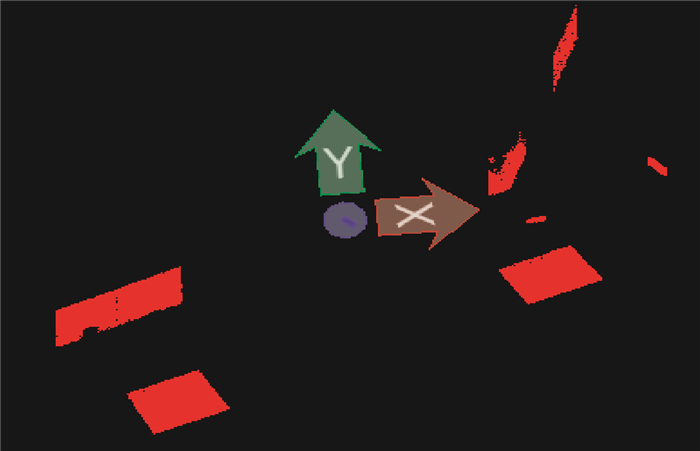 Readings in Computer Vision. Amsterdam: Elsevier, 1987: 726-740. 李宝, 程志全, 党岗, 等. 一种基于RANSAC的点云特征线提取算法[J]. 计算机工程与科学, 2013, 35(2): 147–153. 程金龙, 冯莹, 曹毓, 等. 车载激光雷达外参数的标定方法[J]. 光电工程, 2013, 40(12): 89–94. 李孟迪, 蒋胜平, 王红平. 基于随机抽样一致性算法的稳健点云平面拟合方法[J]. 测绘科学, 2015, 40(1): 102–106. LI Mengdi, JIANG Shengping, WANG Hongping. 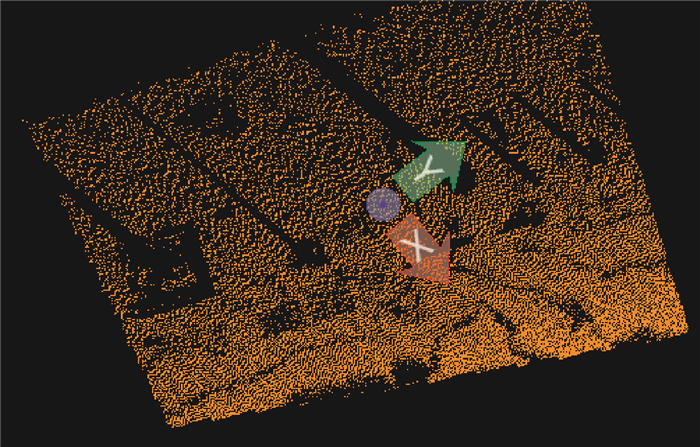 A RANSAC-based Stable Plane Fitting Method of Point Clouds[J]. Science of Surveying and Mapping, 2015, 40(1): 102–106. 周春霖, 朱合华, 李晓军. 随机抽样一致性平面拟合及其应用研究[J]. 计算机工程与应用, 2011, 47(7): 177–179. SATO M, LAKARE S, WAN Ming, et al. A Gradient Magnitude Based Region Growing Algorithm for Accurate Segmentation[C]//Proceedings 2000 International Conference on Image Processing. Vancouver, BC, Canada: IEEE, 2000(3): 448-451. 徐蔚波, 刘颖, 章浩伟. 基于区域生长的图像分割研究进展[J]. 北京生物医学工程, 2017, 36(3): 317–322. XU Weibo, LIU Ying, ZHANG Haowei. Research Progress in Image Segmentation Based on Region Growing[J]. Beijing Biomedical Engineering, 2017, 36(3): 317–322. DOI:10.3969/j.issn.1002-3208.2017.03.16. 李宝顺, 岑红燕, 包亚萍, 等. 基于平面提取的点云数据分割算法[J]. 计算机应用与软件, 2014, 31(7): 145–148. VAPNIK V N. Statistical Learning Theory[M]. New York: Wiley, 1998. 汪宝彬, 汪玉霞. 随机梯度下降法的一些性质[J]. 数学杂志, 2011, 31(6): 1041–1044. WANG Baobin, WANG Yuxia. Some Properties Relating to Stochastic Gradient Descent Methods[J]. Journal of Mathematics, 2011, 31(6): 1041–1044.